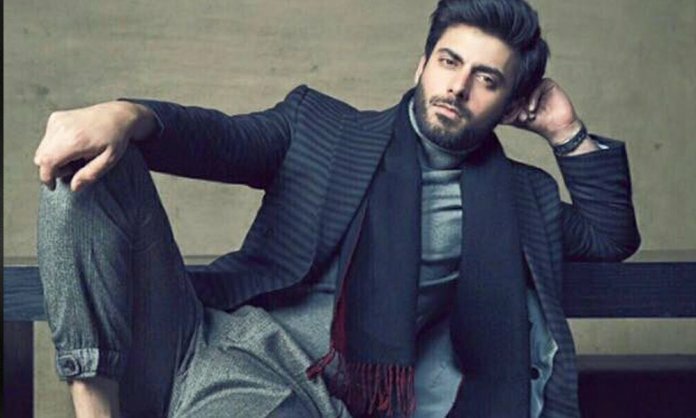 Home Movies Will 2019 Be The Year of Fawad Khan? With his voice that earned him popularity and acting skills that made him one of the best actors in the industry, Fawad Khan has been ruling over our entertainment industry since the past decade! Regardless of the fact that he has not worked in any major project since the past two years, Fawad’s fandom keeps growing strong and his diehard fans just can’t stop loving him! Though we still have to wait to see him on the big screen, the superstar has taken over the news with his vocals after singing the anthem for the fourth edition of Pakistan Super League. The PSL4 anthem is making rounds on the internet and given the popularity of Fawad Khan, the hype has just been doubled! The song ‘Khel Deewano Ka’ also features Young Desi and has been composed down by Shuja Haider. Listen to the PSL 4 anthem below! With a power-packed start to the year with PSL anthem, it looks like that 2019 is definitely going to be the year of Fawad Khan and we are excitingly looking forward to it! The PSL 4 anthem has somewhat calmed the cravings of Fawad’s fans who had been impatiently waiting to see him perform since a very long time. And, it looks like the wait is finally going to be over as the heartthrob will be seen as the Maula Jatt in the much-anticipated movie of 2019 ‘The Legend of Maula Jatt’, slated to be released this Eid-ul-Fitr. With the teaser trailer now out, the beefed-up look of Fawad Khan in this upcoming movie is worth all the hype. The fact that he is going star opposite to Mahira Khan, his Humsafar co-star, is yet another reason to wait for this movie. Watch the trailer of ‘The Legend of Maula Jatt’ below! Fawad made his first appearance on the big screen in Pakistan in Khuda Kay Lye (2007). The superstar has many successful dramas in his bucket as well including the much popular Dastaan, Humsafar and Zindagi Gulzar Hai. The talented actor made his Bollywood debut with Khoobsurat in 2014 for which he also won the Filmfare ‘Best Male Debut’ award. And apparently, we are not the only one to drool over his performances and impeccable looks, Fawad Khan has become a superstar in India as well! The singer turned actor has got some diehard admirers on the other side of the border including the Bollywood diva Sonam Kapoor, Fawad’s co-star in Khoobsurat, who shared in an interview that she looks best with Fawad Khan! Leaving the cameos aside, the last time Fawad starred in the Bollywood flick ‘Kapoor and Sons’ (2017) as one of the leads. He is yet to make a comeback on the big screen in Pakistan with The Legend of Maula Jatt after 12 years. Not just that, Fawad Khan will also make a cameo appearance in Parey Hut Love which will be released this Eid-ul-Azha.